348. What is Microsoft up to with PHP? The debate of what is making PHP grow in popularity was motivated by the recent suggestion from Tiobe that it could be due to a recent Zend Framework release. 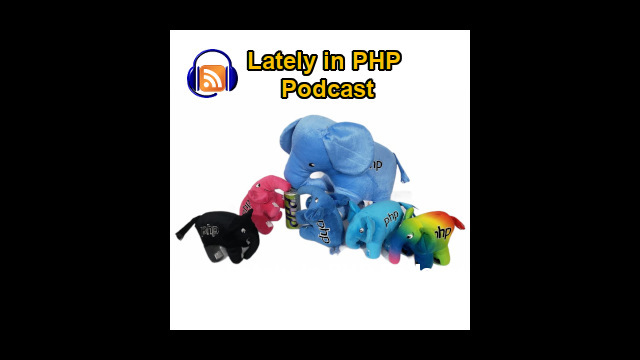 The discussion of whether PHP growth is caused more by popular applications like Wordpress or by PHP frameworks was one of the main topics brought by Manuel Lemos and Ernani Joppert in the episode 38 of the Lately in PHP podcast. They also talked about the end of line of development for the PHP 5.3 releases and the newer PHP 5.4 and PHP 5.5 releases, the proposal to import global functions from namespaces, and the call for speakers for the Ski PHP event. Listen to the podcast, or watch the hangout video, or read the transcript to learn more about these and other interesting PHP topics. Manuel Lemos: Hello welcome to the Lately in PHP podcast. This is episode 38, I think. As always I have here with me, Ernani Joppert. Hello Ernani, how are you doing? Ernani Joppert: I'm doing great. On this episode I'm directly from South Pole, which is very cold. So sorry for my hoodie here, my ears are freezing cold today. Manuel Lemos: I was about to ask you, I don't know where exactly you are now her in Sao Paulo? Ernani Joppert: There is a smoke out of my mouth when I talk. Manuel Lemos: Yes. I knew I just want you to say by yourself because it's also cold over here and I don't know where is all the global warming story now? I think it's all in the North hemisphere. Ernani Joppert: Or inside of each data center. Manuel Lemos: OK, anyway this is a PHP podcast and now we're going to start talking with the usual series of topics, things that went on the PHP world starting from the latest releases that need us to share the screen here; I don't know this is too small. We start here with the version 5.3.27 which is the last... well they intended to be the last release of PHP 5.3 because the plan was to stop issuing new PHP 5.3 releases when the PHP 5.5 final version is released which just happened in the last month. This is mainly a release of bug fixes that is not that much more to say other than if you are using PHP 5.3, from now on there will only be a new release if they are serious security bug fixes tool to be issued. So, the recommendation is for you to upgrade if you want to benefit from any new features or other improvements that will only happen in the newer PHP versions. Other than that there was also 5.4.17 release which from what it looks like it's also mainly release also bug fixes and as well the newer PHP 5.5.1 which is also seems to be mostly of bug fixes, well I don't know there may be one feature or another that may be new, but I don't think there is anything relevant here. Ernani are you planning to start using one of these newer PHP versions 5.5 or even 5.4? Ernani Joppert: Yeah, definitely I'll be looking forward to adopt them as they go forward. Of course there are some tests to be run on and make sure that different chance don't break and that the system works fine I will probably be looking into it within this month. Manuel Lemos: Yes. Well personally I think as long as it solves your problem PHP 5.3 will do. So, if you do not need newer version features that will be fine. The only thing is that you should not be running an older version than PHP 5.3.11 because there was a serious bug that was fixed I think like last year. And basically it addressed a serious method that could stop your web servers. So, if you are going to hang on PHP 5.3 just make sure you're not using an older version than 5.3.11. And for newer version I did not see anything noticeable to mention. Manuel Lemos: So I'm going to move on to another topic this time regarding a new proposal. There's not much to comment about regarding new features because I think now with PHP 5.5 being a release and at least part of the planet is under vacation on July and probably August. There probably would not be many things to be develop but some people are already proposing new features for PHP 5.6. One of the proposals that I noticed is the support for namespaces for global functions. Basically the idea here is to provide a similar support for global function as there is for classes. As you may see here in this proposal page with this feature being implemented, and I think it will be implemented sooner or later, you can use same namespace qualifiers to specify global functions that are part of a namespace. You just need to specify the namespace that you'll be using with the use keyword and it will be able to import function definitions from that namespace. So I think this is interesting. Well, Ernani are you already using the namespaces in your PHP code or you did not have upgraded to a version that supports namespaces? Ernani Joppert: No, the current system that I worked with doesn't use any namespacing but I guess... this implementation is just tried to make PHP as more flexible as it already is. Ernani Joppert: But it's nice to see those features coming through. Manuel Lemos: Yes. Personally, I feel that PHP is already so much feature complete, if we can call it that, that probably we'll be seeing improvements that are not so significant from now on because the language is already feature rich. Many of the things that some developers used to complain about features that were missing are now already present in the language. So I would say that there is not much to be developed. We never know may be some have interesting proposals, we have to wait and see. And as for proposal that... from what I could see that is all for this month. Manuel Lemos: I would like to move on now to another topic regarding one matter about the TIOBE programming index that... lets increase the font here. Basically for those that are not familiar, this is an index that is computed to evaluate the popularity of the languages and this is... I think it was started early in 2001 and every month they update the index based on volume of search results that appears on several sites not just Google, other search engines and also for instance in Amazon and YouTube, Wikipedia, so they searched for the names of the language they can see how many results come out, And then they compute a relative index of popularity. And from what they have computed for this month, PHP has increased a bit its popularity. It sort of jump to have C# and visual basic which is interesting because those languages are also used for non-Web applications. This is not really surprising because we all know that PHP is very popular and what is interesting about this ranking is that they seem to claim that in their opinion the reason why PHP became popular, I mean more popular than before is because the release of Zend framework in last year. Well, this is a very odd conclusion and they do not seem to justify it. May be they have some figures that they could justify but they did not present any justification. Ernani Joppert: Well no. First of all I don't believe that a framework will be responsible for anything other than trying to address a general issue of the particular application that is we used with. Of course the Zend framework is a strong framework already. There are solutions that implements that, but that's not the main reason. I'd say that one of the main reason would be Google adapting PHP as language in their AppEngine architecture. Manuel Lemos: Yeah, that could be because it happened recently. Manuel Lemos: But still I don't know if that would change the search results of all engine have results such as short notice. Well, because that's the source of their popularity index. Well, first I think this is the way of computing the popularity of a language is not very reliable because having results in web pages and search engine does not mean that the language is popular. It just means that there are more sites being produced with content related in PHP or another languages, as well as Amazon books which is what they have searched for in Amazon. Manuel Lemos: Yes for what they searched for engine is for the terms of the languages they have chosen... well HTML and CSS are not part of the set of the language that they searche to evaluate this index. Ernani Joppert: May be they are looking for server side which I will say it makes sense. Manuel Lemos: It's not even web specific. Ernani Joppert: Oh, I see. Manuel Lemos: Well, this actually prompted me to write an article by the time that we are making this... the recording of this hangout the article is not yet out but I can show you a preview because... here as you may see there is a chart that shows the... let me put it on the screen share. Basically, they show chart here the evolution of the language. You can see that PHP has become a popular since the early days when they stated with this chart. And according to them PHP has start dropping popularity but here in 2013 it starts regaining popularity again and even passed several other languages. And I don't know what could be the reason but relating this with the framework, even considering all the frameworks that PHP, it's really odd. I don't know, may be whoever issued this report is a user of the Zend framework and sort of a launch to push it out or may be this is sponsored by Zend, never know. Manuel Lemos: Anyway, the article that I wrote, actually I'm still finishing it and it will be out before this hangout. In my opinion, and this is just a personal opinion, is that WordPress is what made PHP really, really popular and then... well this is my opinion and I present seven reasons, well actually by the time that I'm writing here it's seven reasons, I don't know if I end up with more or less reasons when I finish this article. Anyway, the article here just shows... just some information about what is the TIOBE index, shows also the current ranking of the top 20 languages, also the same chart regarding the evolution of the index overtime to show how PHP has evolved over time, and then I start explaining my reasons why I think PHP was made popular, more thanks to WordPress than any of the PHP framework. The first reason that I present is that the WordPress alone is much more popular than any other PHP application. So the weight of WordPress is overwhelming. And the way I just tried this is that I went to Google trends and compared the trends for WordPress, Joomla, Drupal and as well as Magento, Magento is ecommerce application that is also based on the Zend framework. And then I included the Zend's of framework for comparison purposes. But as you may see below in this chart both Magento is below any other application. As you noticed WordPress popularity has been increasing over the years, other than that the other popular content management application like Drupal and Joomla have been dropping. Magento is more recent, so it has been increasing over the years, but if you look here you can see that Magento and Zend framework are not as popular as WordPress or anything close. Ernani I don't know, is this graphic readable for you in the video? Manuel Lemos: I don't know it's because it's very small here. Ernani Joppert: Yeah, I can see, I can see it somehow. Manuel Lemos: Yeah, well anyway, whoever want to see this Google trends chart in the site, I'll leave a link to that... to this comparison specifically so you can see by yourself. And it also shows the relative popularity given by this Google trends and these bars on the left. The Google trends makes this population based on the number of people that are searching for these keywords. Well that is one of the reasons, another reason that I think it is also relevant its WordPress alone is much more popular than any framework. And this is just to state directly that frameworks just by themselves did not have much weight on the popularity. Of course many applications are PHP are made with the frameworks but justifying it, the recent growth of popularity of PHP with just one framework, I think it's pushing it. Another fact that makes me say that the WordPress is much more popular than any framework is that WordPress itself does not use those frameworks, so the popularity of WordPress is not tied to any of those frameworks. Another point is that they make use application is what makes technology popular. So, PHP became popular because of applications. Could be WordPress, could be Joomla, could be Drupal and as you've seen in the chart above that even Magento which is made with the Zend framework is much more popular according to Google trends then Zend framework alone. Manuel Lemos: So, it's the application that makes the technology popular, not the components. The components might be popular among themselves, among the other components of the communities. Another thing that made WordPress very popular is the plugin ecosystem. WordPress only have grown so much, in my opinion, thanks to the myriad of plugins that exist and continue to grow. Thousands of them are available from WordPress repository although they may offer for free. This made WordPress be used for other purposes than blogs. You can even have e-commerce sites, forums and other things in WordPress. So WordPress is not limited to blogs. Manuel Lemos: Another interesting point is that WordPress is used by non-programmers. Lots of users that are using WordPress do not know anything about PHP, but since WordPress is an application of PHP, it helps making PHP properly. It is interesting that... well at least my opinion as I can see there are many people that were not even programmers but since they wanted to extend WordPress with plugins and themes, and things like that, they sort of forced themselves to learn to PHP so they could do it. So, WordPress also helped PHP to become popular but those non-programmers that became programmers, or at least somebody that writes some PHP code, they did not use any framework, so again there is no tie between frameworks and the WordPress... I mean popularity of PHP, I think it's more tied to WordPress, as I mentioned. And finally my last reason is that WordPress is a very pragmatic application and if you look at the WordPress code, lots of people probably will complain because it's full of global code, it's probably hard to maintain and this and that. And that may be true but in practice it did not prevent thousands and thousands of developers to write plugins and benefit of the WordPress ecosystem and if you go and see the frameworks, all of them trhrive to use the best design patterns and things like that. All of that purism, trying to make things more pure from the technical standpoint, probably was not a thing that made much difference in making these frameworks more popular than they should be, than they could be when compared this with WordPress. Well I don't know, this is basically my point of view. My purpose was not to put down the frameworks but just to make clear that at least that statement that claims the Zend framework was what made PHP grow in popularity in the TIOBE index, I don't know, I don't think it was the case. Well what do you think Ernani? Ernani Joppert: Yeah, I agree with your statements there. And I'd say that Google App Engine could also the reason as well as the proper PHP evolution. Ernani Joppert: Focus on education and that itself it's so complex, so wide and so powerful that I believe that also for institutions that want to accept and open to our solution that is also feasible reason. Manuel Lemos: Yeah, yes that... just to enforce rule, my point regarding that what made PHP popular where applications, not so much frameworks and many of those applications are also used there on set of components, their own on frameworks, they do not rely on those other frameworks. Ernani Joppert: You know its difference than the Ruby world where everything you set on top of Rails framework. Ernani Joppert: So, PHP is not Ruby, PHP is not Rails. PHP is something else and it's not bound to be working, as because of Rails or because of the framework that it was no things on top of. Ernani Joppert: There are valuable frameworks such as Zend framework and other frameworks. Ernani Joppert: Like CakePHP as well and there are other framework which I can't recall the name on... Guilherme Blanco works on, and it's really powerful as well. Manuel Lemos: Symfony is one of the three frameworks that I put there in that Google trends comparison so everybody can see it. It's not the framework alone that is going to make the difference although frameworks are behind the many PHP sites and applications in general. Anyway, I think the point that the author of that conclusion that Zend framework was responsible for the growth and popularity of PHP in the TIOBE index, I think it is trying to make a comparison comparing PHP with Ruby and the Zend framework with Rails. Well, I don't know first Ruby was not popular at all before Ruby and Rails. So, since its popularity was low, it was easy for a good framework to help making that language more popular. But in the case of PHP, PHP was already popular when Zend framework appeared and even PHP was already popular when the WordPress appear. And so I don't think that comparison make sense that was probably something that the author of this conclusion wanted to push us a wish rather than a fact. And well, I knew in the end of my article I try to be a fair and point that opinions are just that not facts. They may be wrong, they may be not be considering all the perspectives that should be considered. And opinions are also personal, it depends on the experience of the person that is issuing the opinion, and that also applies to me, but it doesn't mean that I'm not reporting facts that are real and valid. Anyway, another thing that I wanted to point in this article is that just because I am stating that WordPress is much more popular than any PHP framework, I'm not saying by all means that frameworks are not the good thing to be adopted. Basically what I think is that many developers do not have their own method of developing PHP applications. So if they embrace framework that is what they call opinionated, I mean they try to enforce certain methods of development that if the developer follows those methods he becomes productive, so in that case I think it is a good thing because I see that many developers need some guidance in adopting productive methods. So, in that sense I think adopting a framework is a good thing. But it does not mean that if you do not end up to one of those framework that seem to be more popular you cannot be equally productive. What you need to have is a good productive method of working of going from a specification tool working application that you want to develop. And finally, one question that I tried to answer somehow is what many developers probably have face. I don't know Ernani if you ever, ever faced this conclusion, this doubt of whether should you develop your sites based on top of WordPress or use PHP framework or something else. Well, that certainly depends. In my opinion, if your application that you want to develop is also a blog may be you can get head start if you start with WordPress. Ernani Joppert: Yeah, I mean. There are 10 tons of ways of doing what you need. It's very hard for someone to come up with a better solution or for the best solution at hand in the first place because it's a constant evolution to develop a complex system and for sure WordPress can be the kickstarter of it. It can help somebody to come up with an idea and put it into practice. But the time will tell if your story or your evolution will be succeeded on top of WordPress or something that you make customize. Manuel Lemos: Yeah. Well in general, if you use WordPress probably you may only need to develop a few plugins or themes to enhance it enough to do whatever you need. Ernani Joppert: Yes, even we do, even we do sometimes. Manuel Lemos: Yes. Personally I don't use WordPress but it did not prevent me to praise its qualities. Ernani Joppert: Yeah. But I mean sometimes when we saw Rasmus trying to compile WordPress we say "Oh, my..." that is like you see and that's because of the complexity of the solution. Ernani Joppert: But it's not so proven that it's the best or not and I think that it does the job and does very well, because it does very well it is very successful. Manuel Lemos: Yes, so this is a... anyway this article is just my opinion and you take it with a grain of salt because I do not have an agenda to favor WordPress or go against any PHP framework just giving my opinion based on my limited knowledge of the facts. Well, anyway, we cover this extensively and now we need to move on to our next topic. Manuel Lemos: Usually we have now the regular sections about the innovation award but first I'd like to comment just briefly about an event that is going to happen already in 2014. It's called Ski PHP and let me share the screen because Christian Peterson from the Utah PHP Users group posted an article in the PHP Classes blog just to tell about this conference and they invite any developers that will be interested to speak and that conference. It will be already in 2014 but the call for papers, the deadline is August 31. So if you are interested, you should have this date in mind, so you do not miss the deadline and probably if you have an idea, if you'd like to speak there, you should go ahead and already submit the proposal before I forget to do it in time. You still have a month until the end. They also comment a bit about what they expect it to be. It will be basically, three day weekend and you'll be able to probably enjoy the slopes. I don't know, personally I never have skied in my life. Although I had the opportunity to do so, but for those that enjoy it probably you'll be a great event to build and also have some fun in the slopes over there in Utah. Ernani have you ever been in ski slopes or you have stayed away? Ernani Joppert: No, I've been just for fun when I was living in Germany but it was a very, very hard for my balance, I don't have any practice on it, so it's very hard. Manuel Lemos: You are old. Ernani Joppert: No, I wasn't old at that time. It's nice, it's very different for me because snow it's something really different. Manuel Lemos: Yes. I was actually making fun of myself because I think well in 2010 almost three years ago, I went to, well it was not it was actually in the ski slopes but I went to skating rink, ice skating rink. It was in London and I tried to skate a bit and I immediately drop in the floor until I get dropped I did not ski at all. I mean skate at all but my son had fun that was what I matters. Ernani Joppert: Skating is more common, I've been more into skating. Manuel Lemos: Yes. Have you tried the ice skating? Ernani Joppert: Yeah. We've had a mall here is Sao Paulo where there was an ice skating floor. Ernani Joppert: Yeah, yeah, it was fun. Manuel Lemos: Although it's cold in Sao Paulo, right now? Ernani Joppert: Yeah, yeah but probably a good idea to set up for a ski court, an ice skating court here. Manuel Lemos: Yeah, right in Sao Paulo. Ernani Joppert: It would be a sport for the season. Manuel Lemos: Yes, the snow season. Ernani Joppert: Yeah. I mean we haven't had snow in like 50 years and in Curitiba which is another city in the south, they had snow and it was amazing. Ernani Joppert: Never seen that coming forward or any... Guys from No Agenda are still beating the odds in their conspiracy theories. Ernani Joppert: ...quarantine doesn't exist. Manuel Lemos: Exactly. Every time somebody talks about cold weather, "oh, isn't that the global warming?" Ernani Joppert: Al Gore planted the whole very well. Manuel Lemos: Yes, Al Gore wants to dominate the world. You already failed to get elected so maybe he wants to dominate thanks to the global warming. Ernani Joppert: Hi search is now focused on Apple. Who knows? Manuel Lemos: Well, anyway this is a PHP podcast but as I mentioned, we are going to move on and talk about the latest innovative packages that were published in JS Classes site, I think it was in May and then they were voting in June. Ernani Joppert: Yeah, I speak to one, let me just see if I can just expand my screen here so we have it on the screen for us to look at, now here, one second. Manuel Lemos: It is interesting that while you are looking at your screen it's seems that you are inside an igloo. Ernani Joppert: An igloo right. Ernani Joppert: It would probably hotter than here. Manuel Lemos: Yeah you don't know. Ernani Joppert: Yeah, warmer I guess it's a better word. Right, so that's the pick of the month for me. And it's a class that manipulates history. Basically, it has some parameters to the pushState method of the browser and it can compose URLs. It can return the composed URL without pushing it to the browser history. So we can capture probably history, events of the browser, right? Ernani Joppert: I didn't had a deeper look in to it but it seems to be really untrivial, very creative and very innovative component. Manuel Lemos: There are few. Well anyway, as I said it's useful because it allows you to precisely help in AJAX applications that use the AJAX push state to push some URLs in the browser history, so as as if the page wa reloaded but not exactly reloaded from scratch just probably updated content retrieved from AJAX. Well on my part I will also to comment on a component that is also related with AJAX requests but for a different purpose. In this case is a jQuery plugin but implements... actually emulates AJAX request in a way that they can work for uploading files to the server. Practically this uses iframes to change the window in which it will be submitted a form with file to be uploaded to the server. So it will not be exactly a XMLHttpRequest, it will be a regular form submission than they use a hidden iframe, so you don't get to see any visible results on the page but the file is uploaded to the server and you can have some callback function being invoked when the upload is completed. And so this is a very component. We don't have time to comment about all of those components but we can comment a couple each. Ernani, which components would you like to mention? Ernani Joppert: For PHP, is this right? Ernani Joppert: I have two picks for this month. I am checking the screen sharing sub-window here or they got hidden out when I was switching from one screen to the other. Here we go once more it's a Google driving directions from Marcus Brasizza. Ernani Joppert: And it's a blank? Manuel Lemos: Because it's blank. Your screen is blank. Manuel Lemos: OK, try it now. Ernani Joppert: It's probably taking while, it's probably taking more than the usual. Manuel Lemos: Yes, that's true. Ernani Joppert: Marcus Brasizza it's the Google driving directions. Manuel Lemos: Can you just increase the screen font? Ernani Joppert: it uses some PHP 5 specific features to talk to Web service and the clips some Web services, works with location and you can even get an image results from the routes that you're willing to drive from and to. It's very nice to see such components coming through because it can help you familiarize with the APIs that Google provides you. So it's very nice and congratulations to Marcus. The other scripts if you allow me to move on is the PHP Gantt charts in PDF. I'd like to see classes that generate other kinds of file formats. Manuel Lemos: Can we get the font? Ernani Joppert: I can. Let me see if my computer wants to. Manuel Lemos: You want but you even not sure if you can. Ernani Joppert: Yeah, sometimes it misbehaves. Manuel Lemos: Yes, it's OK now. Ernani Joppert: Right so Alexander Selifonov from Russian Federation. I guess it can be colder than here as well but very nice components to see classes especially PHP generating PDF that makes me very, very captivated to see components generating Gantt chart or PDF files and working with external files formats. And it's nice to see that you can at least be with the timeline out of PHP components and put it on a nice PDF and we can see the screenshots of the Gantt charts provided by the user here. It has really, really nice graphic components and that can vary you from a project that you're working at especially IT developments etc., when also give you a sense of deadline or anything you want to build. Ernani Joppert: It could be an idea, concept and can be very useful to give us sense of timeline and commitment that you have to achieve, so it's very nice to see that going through. That's why its my pick of the month, those two classes. Congratulations guys. Manuel Lemos: If that is... as you said from Alexander Selivanov, he has been a great contributor. Over time he has contributed 14 packages and 11 of them have been nominated for the innovation award, even two have won for the innovation award. So this is an awesome track record, it's not usual for developer that submits packages to have so many nominated packages among all of those that they submitted. While looking here I also want to show you something that I've had recently. OK let me see, OK. I need to restart the screen share. Manuel Lemos: No I mean, OK. I think now you can see it. Here, as I mentioned this is the page of the class and if you go to this link to browse all classes by Alexander Selifonov, you can see the page of his classes. And now here, the navigation bar there is one link that says reputation and you can... if the page loads, you can see... his reputation which is something new that it was added in the site, sometime ago not a long time ago like in June. Now you can see that all that Alexander has done, you can even see what is his position in the ranking. As you may see here he is number 11, thanks to in great part to his contributions. You can click here to see totals by action. And you can see many of the points that you earn thanks to the innovation awards contributions, either being nominated or the results, or even being a winner. And that contributed for him to get a lot of points most of the points that he earned as class author as you can see here. And this is useful for people that want to evaluate a certain class and have a sense of the quality of the work that he can expect. So this reputation numbers should be helpful for that purpose. Now back to my nominations that I like to talk about a couple I'd like to mention, one class that is not so usual... for a purpose that is not so usual, this class PHP Circuit Breaker class by Yasir Siddiqui from Pakistan. And what it does, it's very simple but it's interesting which is to use a circuit breaker pattern which consists in evaluating if a certain service is down for consecutive number of attempts. For instance if you have to connect to a database connection... connect to a database server, sorry, you can see if it is down for a while and stop trying to connect because if it is down, you shouldn't be insisting. It's probably having a temporary problem that it will take its time to be solved. Ernani Joppert: Anything you probably have a routine to put here. Ernani Joppert: And you can somehow with that component put a routine on your web site to notify somebody if the database is down. Ernani Joppert: ...and put a message to the users. Manuel Lemos: Right in this case it attempts to check a service and if the service is down it stores some information in APC cache which is very fast to access because it is using the memory. And if the server is down after several number of attempts it will not insist and only retry after a good time which is also a configurable option. Manuel Lemos: So, congratulations for Yasir for yet another great contribution, again if you want to check you can do the same procedure that I did for Alexander. You can check his reputation and you can see in the reputation page that he has earned a lot of points, not as many as Alexander Selifonov but at least he also is very well ranked, number 58. OK, but moving on I also would like to comment about another package this time for different purpose by Artur Artur Barseghyan, I'm sure I'm not pronouncing his name right. Anyway, he is from the Netherlands and he contributed an interesting component that can look at domain name and figure what is the top level of domain name, because it depends on the country. The solution of his class to figure what is the top level of domain name is to check a file with predefined values that is available from the Mozilla site. Manuel Lemos: Artur for his contribution. Well, basically we don't have more time to comment more on this innovative packages. There were like 10 this month. Well that's all we have time to comment about for now. I'm just going to mention something back there that I forgot, the class jQuery file upload was actually develop by Satyam Kumawat from India, I forgot to mention his name. I think it's always important to mention the person's name and also the country because, it's a sort of way of highlighting important things that matter for the person that is contributing and also encourages people from their own countries who also become good contributors and I hope this works well in that sense we're encouraging everybody to contribute. Manuel Lemos: So for this show, we have practically ended it. I'd like to thank you Ernani again for coming this time despite all the cold. I know it was very hard for you to come out of your igloo to participate in this show. Ernani Joppert: Yeah, for sure. Ernani Joppert: Yeah for sure. Manuel Lemos: So, for me that is all for now. Bye. Ernani Joppert: OK bye, bye guys. See you next week.